Many people in Germany receive warning letters for breaching copyright by sharing files over the internet. We recently reported on the presumption of guilt in file sharing cases and the unreasonably high burden of proof internet users face when attempting to rebut the presumption. 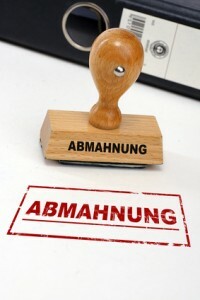 The regional district court of Frankfurt a.M. has now turned the tables, ruling that the connection owner was not obliged to pay compensation (29.05.2013 Az. : 2-06 S 8/12). The claimant in the case, a large music company, lost its claim for compensation both in the lower courts and on appeal. The reason is the distinctive nature of the facts of the case. The alleged exchange of copyright-protected material via file sharing software, took place after the defendant had already received a warning letter for exchanging a different file. The claimant demanded payment of 2,500 euros under the licence analogy, instead of the usual reimbursement of legal fees and other costs incurred as a result of issuing the warning letter. The claimant accused the defendant of having either committed or participated in the commission of the copyright infringement (§ 97 II Copyright Act) and in the alternative, claimed compensation under § 823 I of the German Civil Code on the basis that the defendant had breached her duty of care by failing to prevent the copyright infringement. As the claimant alleged that previous copyright infringements had occurred using the same eDonkey user name, the court accepted that file sharing software had been used in the current case. The defendant, who was represented by the law firm WILDE BEUGER SOLMECKE, raised a number of defences including: that she did not possess file sharing software on her computer and that she was not the sole user of the internet connection as her husband also had access. On this basis, she argued, the court could not presume that she personally had committed the copyright infringement. With this the court has rejected the current position in file sharing cases that internet users accused of illegal file sharing will be presumed guilty unless they demonstrate with high certainty, or even prove, that the copyright infringement was committed by another person. The court has also clarified that it is for the claimant to prove, in accordance with ordinary civil law principles, that the internet connection owner committed the copyright infringement. In the current case the claimant was unable to sufficiently demonstrate and prove, either objectively or subjectively, that the defendant had either committed or been party to the commission of the copyright infringement. Finally the court also rejected the claimant’s argument that the defendant had breached her duty of care to ensure the security of the internet connection and prevent file sharing copyright infringements. Relying on developing case law of the German Federal Supreme Court (the decisions: ‘Morpheus’ and ‘Summer of Our Lives’), the court refused to find that internet connection owners can be held liable for copyright infringements purely because they established the internet connection and thus created a ‘source of risk’. This is because § 19a of the German Copyright Act, which prohibits making copyright-protected works publicly available, requires positive action by the accused and is therefore not fulfilled by the passive ownership of an internet connection. Although the question of strict liability did not arise in this case, the court did take the opportunity to explain that internet connection owners are generally not under a duty to monitor their spouses for the use of file sharing software or for the commission of copyright infringements. Furthermore, even where there are concrete suspicions of illegal file sharing activity, connection owners are not required to comb their spouses’ computer for file sharing software. This is in contrast to the obligations parents have to monitor their minor children’s use of the internet. The decision by the Frankfurt court strengthens the position of internet connection owners who are accused of breaching copyright through the use of file sharing software. It also shows that whether a case is won or lost depends considerably on the court which is hearing it. Although many courts persist in departing from fundamental civil law principles by reversing the burden of proof in favour of copyright holder claimants, it appears that the Frankfurt district court is not one of them.